Are you finished your Halloween shopping yet? Today over at Thrifty Nifty Mommy, Janessa is sharing her tips to save the most money on all your fall purchases -- from candy, to costumes, to pumpkin puree and turkeys -- these tips will save you lots of money! Have you tried Flipp yet? Not only is it great for Halloween shopping, it's perfect as a way to help you save money on all of your shopping trips (groceries, clothing, office supplies, sporting good and more). It also makes creating and maintaining a household shopping list SO much easier! 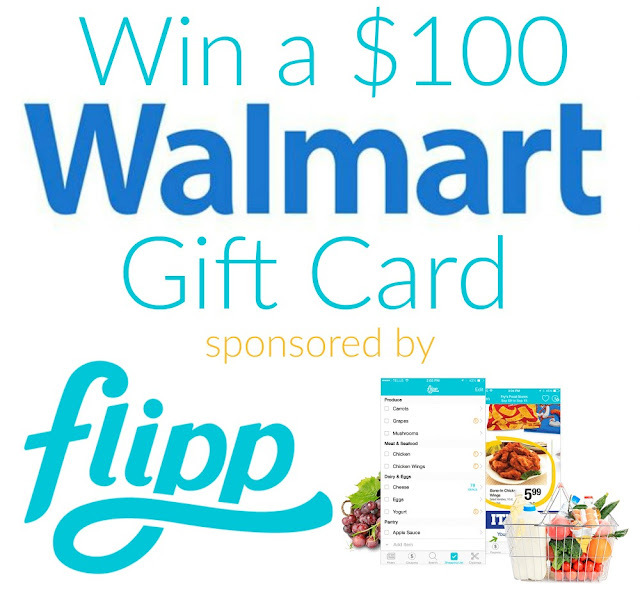 I'm teaming up with Thrifty Nifty Mommy and a few other bloggers to offer you a chance at a $100 Walmart gift card so you can complete your Halloween shopping using Flipp. If you'd like a chance to win, just enter using the Giveaway Tools entry form below. Good luck! This would certainly help with the upcoming Christmas shopping. Every little bit helps. This will help a lot!